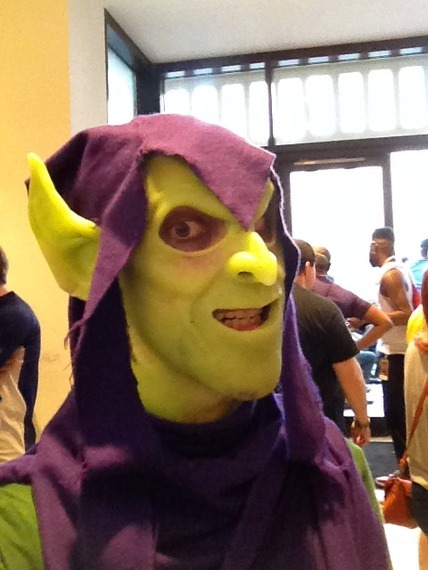 Green Goblin Mask « Adafruit Industries – Makers, hackers, artists, designers and engineers! The lenses are gold mirrored sunglasses lenses. I was going for the look of the original Spiderman movie mask lenses. 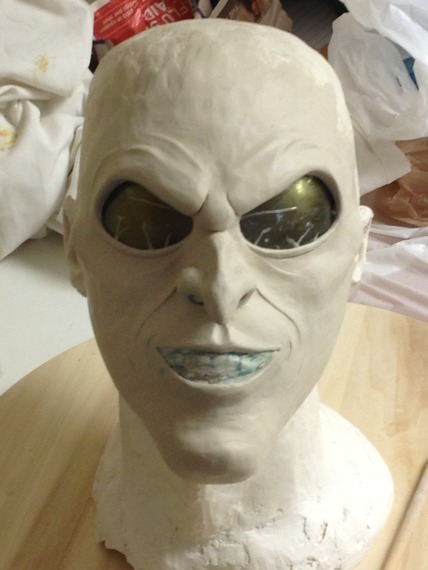 The lenses were covered in packing tape to keep them clean and then incorporated in to the sculpt to ensure proper eye shape and final fitting. I will be attaching them to the inside of the finished mask. I still haven’t figured out how I’m doing the teeth yet. I want to have a sinister looking grin with teeth showing. The way the head cast turned out and as thin of a layer as I sculpted over it, the lips on the cast are too big to sculpt teeth over. For a realistic smile, the teeth need to be sunk in from the lips. 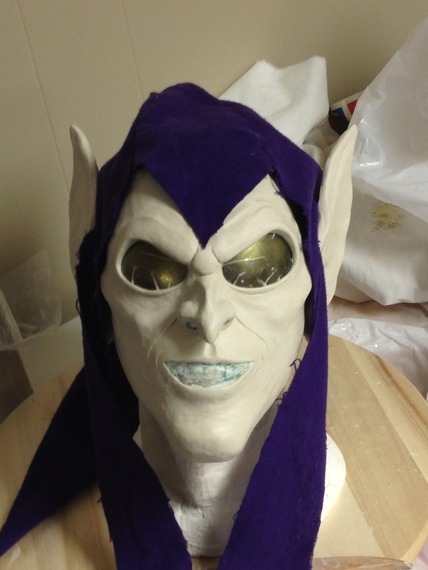 I am thinking of adding teeth under the lips of the mask after it is cast or reworking the mouth opening to use my own lips and wear pointed dentures. This will be molded and cast in to a full over head latex or silicone mask, then painted (hopefully) fairly realistic. Of course this is all in theory as I have never actually done any of this before. Read more at The Superhero Costuming Forum. Update: Corum has a Facebook page for his work now.